When starting out as an Avid Assistant you will need to practice your skills constantly. So what are the essentials you need to be able to practice your skills and use on your first projects? Here's a short look at what you can get for free and a few items you may have to buy, but all of them under $25! I'll be making one (rather large) assumption here. I am assuming you already have a laptop, Mac or PC it doesn't really matter. I don't however, assume that it can run Media Composer, but if it is the right specification then great as this means you can practice your Media Composer skills anywhere! But if your laptop has seen better days it still has a place. Use it as your nerve centre in co-ordinating and researching projects. 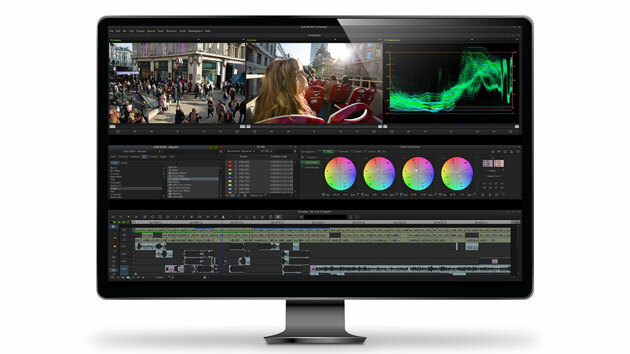 Ideally, you will have access to a computer that runs Media Composer in some way shape and form, even if it is at a facility that will allow you access to their system outside of business hours. Make sure you have a laptop bag too, you'll need to have it with you at all times. Tip: Even if you don't have a laptop and have a limited budget, laptops can be had for as little as $300/£200, these will not be able to run Media Composer, however. Refurbished laptops can be an option here too. For a good quality laptop to run Media Composer expect to be spending around $1200/£800 for a PC and more for a Mac laptop. You will need to MASTER Media Composer and the only way to do this is through practice and experience. Avid Media Composer has long had a free 30-day trial but once this has expired will require you to purchase the software. If you have the money, you should buy it as this the most important piece of software you need to know, keep pace with and understand its every function. At the time of writing, you can hire a license of Media Composer for $50 per month (£40 per month.) UPDATE: You can now own Media Composer for as little as $19.99 per month. But for someone starting out with little money and experience this cost is a big investment, so the next best thing is to use Media Composer|First which is COMPLETELY FREE. It does have its limitations but to learn the interface and start mastering your editing skills this is an essential piece of software. Under MC Firsts skin is the full-blown Media Composer software (8.10 as this is written) which means that what you learn here is transferable to the full Media Composer systems. Mastering Media Composer is the core skill you need to work in any cutting room, but knowing Media Composer inside isn't always enough to get you a job as an Avid Assistant. There's a whole host of other applications you should be proficient in, but here are some core ones to get you started. Having skills in other software applications is what can help you stand out from the crowd. Email is essential - it pains me how often I need to tell people this - Gmail has the massive advantage that it gives you 15GB of free cloud storage that is accessible from any device you can think of. As well as your email you will also get a complete set of office tools such as Google Docs (word processor) and Google Sheets (spreadsheet) as well as numerous other useful tools, that you will use on a daily basis when working on projects. If you have a laptop make sure that you make Google Docs available offline, so not requiring an internet connection in order to use them. Get to grips with using a spreadsheet if you haven't used one much as this is the best way of tracking issues and rushes, as well as your expenses! Get familiar with sharing folders and files with others so you can work collaboratively on projects without worrying if you are working on the most recent document version. Your folder structure for storing rushes, organising shoot schedules or any other useful documents is important but equally repetitive to reproduce accurately. Digital Rebellion has had Post Haste available for some time and its ability to reproduce complex folder structures at the press of a button is fantastic! I use it for so many of my projects. It is flexible and customizable and amazingly is completely free and works on both PC and Mac. This is an essential piece of software you should have in your bag of tricks from day one. Download it now HERE. NOTE: I will be sharing some of my Post Haste configurations with you in later posts to help with system organization etc..
You more than likely already have a spare USB key hanging about somewhere, erase it and mark it up for project backups and use it ONLY FOR THIS PURPOSE. 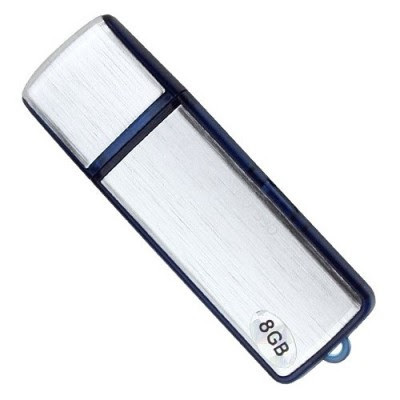 If you don't have one the good news is they are very cheap and a USB 2.0 key is fine and means you can pick them up from anywhere for under £10/$15. The bigger the better but I'd recommend nothing smaller than an 8GB stick but 16GB and larger would be ideal, push it out to USB 3.0 too for faster transfer times. Make a simple Folder structure, or use your new-found PostHaste skills to make a more complex structure, along the lines of. Use the Project Documents folder to hold general notes for the project you are working on. Store the files as RTF (Rich Text Format) as this means that any built-in text editor on any Mac or PC can open the document, even with no internet connection and with your laptop unavailable. The Projects Exports folder is great to use when the edit suite does not have internet access and you have to transfer it to another machine for delivery. The other folders are self-explanatory and optional but are useful to have to hand on most projects. OK so this one's not free, but living in the 21st century you will already own a phone and know how important and essential one is. As an Avid Assistant, you will use yours for your Email, and Google documents as well as snapping problem timelines and bins. You'll also need to make the odd phone call as well as receive a lot of them! Keep it charged and to hand at all time and think about adding a suitable voicemail message so people know who they are talking to when leaving a message. Don't forget to add your number to your Email signature too. I have only touched on bare essentials here and over time you will collect more and more equipment (and skills.) Here are another few items that are cheap to get hold of but can make a massive difference to your day to day life and make you look prepared and that more professional.